The ruling Zanu-PF party says it will not be stampeded into dialogue with the opposition MDC-Alliance which it accuses of instigating violence in major cities like Harare and Bulawayo on Monday, working in collusion with its civic society allies. The violence resulted in the death of four people, one a police officer, destruction of infrastructure and property worth thousands of dollars. Zanu-PF Chief Whip Pupurai Togarepi told the party's parliamentary caucus in Harare yesterday that the ruling party would not be hurried into talking to the opposition through acts of violence. "It is very unfortunate if what they are looking for is dialogue at the same time they are causing mayhem in the country and destroying property," he said. Togarepi said it was wrong to seek dialogue through violence. "I think there are many avenues they can use to create dialogue with Government, with Zanu PF or with any other political establishment in the country. But if you have to maim people, barricade roads and destroy property, it then defeats your democratic right to demonstrate. When you destroy people's homes and property you are worsening the plight of the people. The question is are you doing it for the people or for your own selfish interests?" said Togarepi. "People lost properties, cars were burnt and lives were lost. Is that a way to persuade dialogue? In my view it was wrong. It is clear that these are acts of terrorism. That is clear terrorism and it is not supposed to exist in our country because we are a peace-loving nation. We call upon the security agents to deal with these people," he said. Togarepi said social media was awash with statements by MDC-Alliance functionaries like its deputy treasurer general Mr Charlton Hwende threatening to unseat President Mnangagwa's Government. 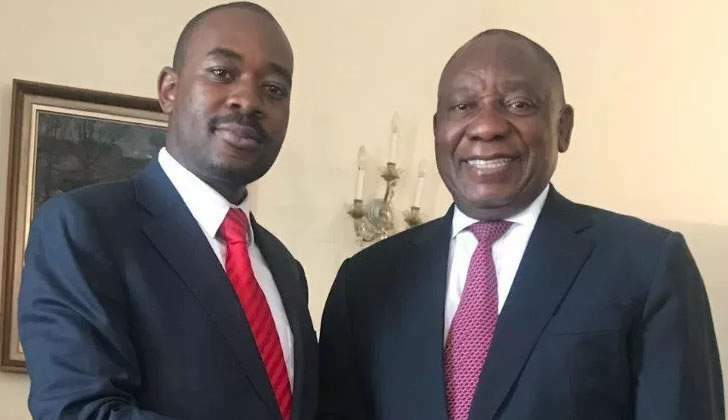 "There are messages on twitter from the likes of Hwende who said they are going to remove President Mnangagwa's Government in January. So is what we are seeing a manifestation of that?" he added. The Zanu-PF chief whip said yesterday's meeting was also meant to brief parliamentarians on the situation in the country. "Our caucus was mainly to talk to the MPs and ensure that they appreciate the current economic environment and the issues around fuel prices, the issues around price (of basic commodities) increases and the demonstrations that were there so that they go and explain to our people and to encourage them to remain peaceful and organised for the party to remain strong," he said. "As you know, the MPs are closer to the people so it is important that they know issues around the price increases and what is involved in the fuel rebate system that was announced by Government at the weekend and what they can do to mitigate the challenges people are facing in their various constituencies," said Togarepi. He said Government had come up with measures to cushion businesses and ordinary people from the effects of fuel increases. "There are measures by Government to cushion everybody, there are measures to cushion businesses, and there are measures to cushion Government employees, all that was explained to the MPs," Togarepi said. The fuel rebate will ensure that business in the productive sectors do not increase prices to the end user while civil servants have been awarded an allowance of between 22,7 percent and five percent on a sliding scale to lessen the impact of price distortions in the economy.